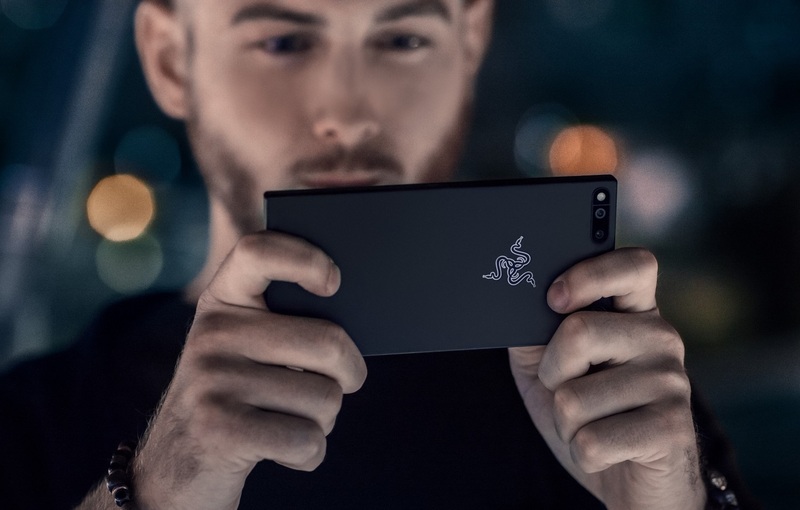 As expected, the expert in gaming peripheral announced the launch of its first smartphone, the Razer Phone, built around an IGZO panel manufactured by Sharp with a size of 5.72 inches at a resolution of 2560 x 1440 Quad HD pixels, protected by the Gorilla Glass 3 and that stands out for a refresh rate of 120 Hz to double the fluidity of the movements with respect to most mobile devices, something that not only improves the transition of the menus of the device, but to enjoy a greater fluidity in the games. This panel is set in a chassis with frames that give it a design reminiscent of Sony Xperia devices, but taking advantage to offer a stereo sound system thanks to a dual front speaker configuration backed by Dolby Atmos technology with the certificate of THX. Regarding the dimensions, nothing to note: 158.5 x 77.7 x 8 mm thickness with a weight of 197 grams. To reach 120 Hz, the Razer Phone is equipped with top-end SoC of Qualcomm, the Snapdragon 835 coupled with no less than 8 GB of RAM LPDDR4 @ 1600 MHz in Dual Channel configuration with 64 GB of UFS storage expandable by a microSD card up to 2 TB capacity. 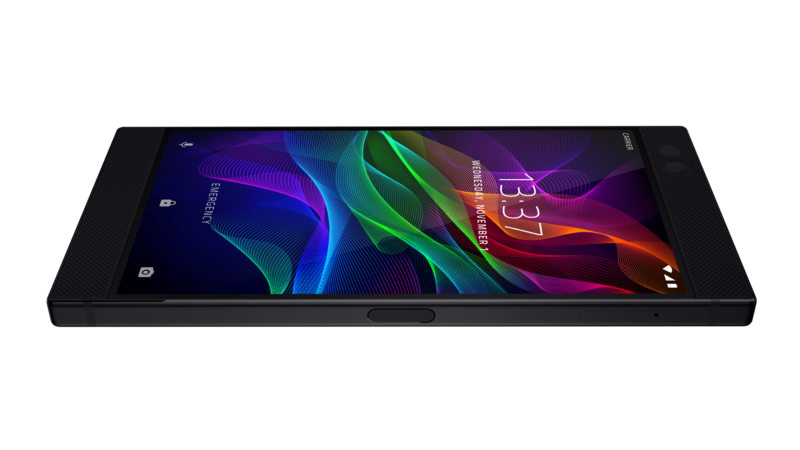 All this is supported by a battery of 4000 mAh that promises to overcome a day of intense use with the support of Qualcomm Quick Charge 4.0+ technology for an ultra-fast charging speed. Preorders start today at $699, and the Razer Phone ships on November 17. 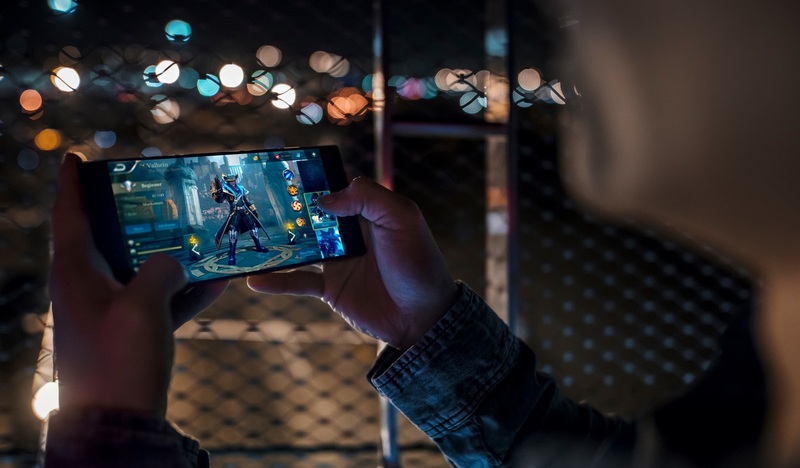 The rest of the Razer Phone’s specifications completed with 4G LTE connectivity, WiFi 802.11ac, Bluetooth 4.2, NFC, GPS, the use of a dual 12 + 12 megapixel rear camera configuration (aperture F / 1.75 & F / 2.6) with 2x zoom and PDAF autofocus) and dual-tone LED flash. For front the smartphone is equipped with 8 MP F / 2.0 camera, runs the Android operating system 7.1.1 Nougat (upgradable to Android 8.) out of the box with the Nova Prime Launcher Razer user interface Edition (Razer version of the original Nova Launcher), and the fingerprint reader hides in the power button. 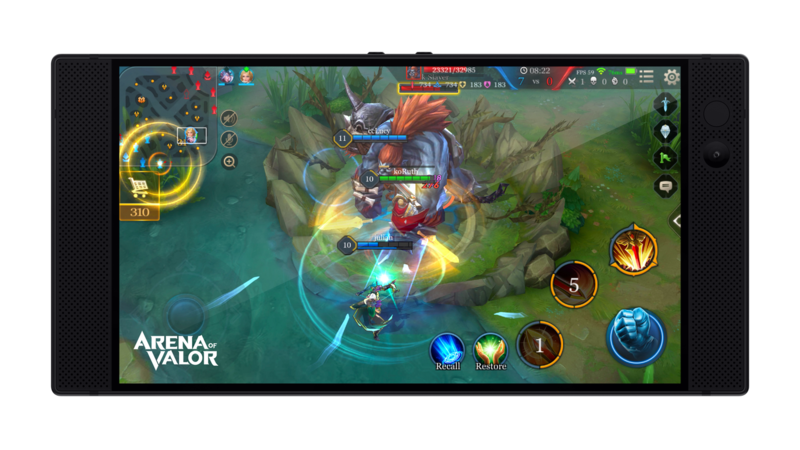 Titanfall : Assault by NEXON Co., Ltd. and Particle City, Inc.
” The future of gaming will be on mobile devices, and both Razer and Tencent will be leading this trend in the near future,” said Vincent Gao, Global Marketing Director for Tencent Games. Now what matters, the price. The Razer Phone will have a limited run of 1337 units (Special Edition) with the emblematic logo of the triple snake Razer in green from next November 17 at a price of $699. If we seek to compare it with other devices of the same category, we cannot consider that its price is high and more with the panel @ 120 Hz, dual front speaker, 8 GB RAM and 4000 mAh leaving all higher priced rivals behind like Galaxy S8, Note8, iPhone 8 and many more.